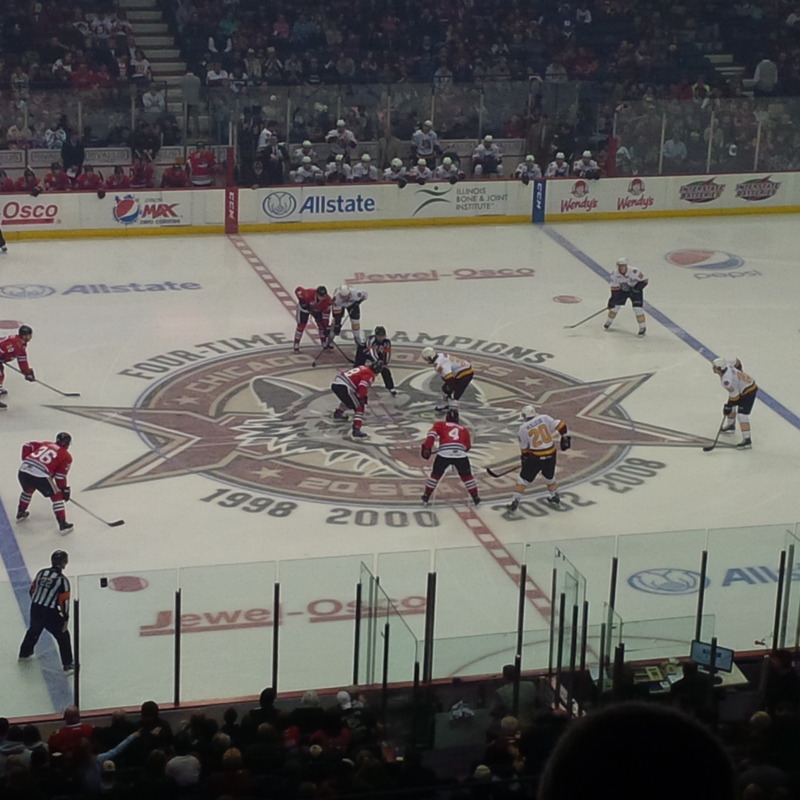 ROSEMONT- The Chicago Wolves began to wind down their home schedule of the 2013-2014 regular season on Sunday. And they did so by taking on their in-state rivals, the Rockford Ice Hogs-A.K.A. the future Chicago Blackhawks. Sunday’s game was the 11th game of both the season series and the annual Illinois Lottery Cup series between these two franchises. The Wolves had dealt with a lot of adversity in recent weeks. Everything from injuries, to roster moves, and a handful of back-to-back scheduled games has tested this teams resolve. They came into this contest losing four of their last seven. 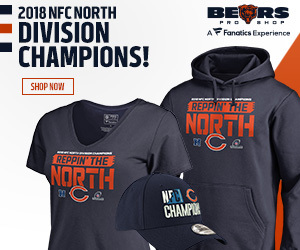 Not good for a team that still has a chance to win their division. They also lost their last two encounters with Rockford, most recently on March 30th. So as the Wolves took the ice at the Allstate Arena Sunday, they were looking to get back on track and stay healthy at the same time. Staying healthy was quite the challenge before the game even started as the Wolves had eight pre-game scratches. The first period was mostly a defensive showdown. The Ice Hogs outshot the Wolves 9-8 but only turned one of those shots into a goal. That one goal (no pun intended) came from Rockford forward Alex Broadhurst at the 13:10 mark. There was also a fight that broke out between Wolves forward Eric Selleck and Hogs winger Wade Brookbank at the 14:49 mark and both men would be penalized. Rockford committed three additional first period penalties for hooking, too many men on the ice and for a delay of game call. None of that would matter however as the Ice Hogs led 1-0 at the first intermission. When the second period began, it didn’t take long for the Wolves to get back into the game. Just barely at the four minute mark, Wolves center Alexandre Bolduc put a shot past Ice Hogs goalie Jason LaBarbera to tie the game at one goal a piece (again no pun intended). The rest of the period would be another defensive showdown despite the Wolves out-shooting their opponents 11-9 for the period. Eric Selleck would find himself in the penalty box again with 3:13 left on the second period clock due to a roughing call. After two, it was still a 1-1 game. The first half of the third period was quiet, but under the 10 minute mark that would change. With 9:41 left in regulation, Wolves winger Michael Davies scored to give his team a 2-1 lead. About a minute and 20 seconds later, forward Tyler Schattock gave the Wolves a 3-1 lead with his shot to the left of LaBarbera. The Hogs would fight back however as Alex Broadhurst scored his second goal of the day with 5:50 left in regulation to make it a 3-2 game. In the final two minutes, the Hogs pulled LaBarbera and went with an empty net defense. They would pay for it with 1:12 left in regulation as Alexandre Boldic got his second goal of the day by getting an uncontested shot. That took the life out of the Hogs as the Wolves defense would hold it down for the final 60 plus seconds to give them a 4-3 victory over their arch-rivals. The Wolves are definitely one step closer to that goal as they are now 42-21-5-5 (second place in the Midwest Division) on the season. And at 94 points, they are just four points behind first place Grand Rapids (46-22-2-4) who defeated Charlotte 2-1 on Sunday. Currently the Wolves are third place in the Western conference overall behind Grand Rapids and Texas, they’ve already clinched a playoff spot. Next up for Wolves, they play their final two road games of the regular season. They go to Iowa to play the last place Wild on Wednesday, then they go to Rockford to finish up their series with the Ice Hogs on Friday. The Wolves are 6-5 against the Hogs, and they can capture the Lottery Cup with a win Friday night. Their final home game will take place next Saturday when they host the Milwaukee Admirals. NOTES: Chicago Blackhawks prospect Teuvo Teravainen suited up for the Ice Hogs today. But he saw limited minutes and had a quiet afternoon with just one shot. Recent Wolves acquisition Jake Chelios, the son of former Hawks and Wolves defenseman Chris Chelios, had one shot and a minus-2 on the day.